There are plenty of coding classes for teens and young adults in Chicago, and most of them aren’t cheap: Single sessions start at about $100, and weeklong camps can reach $1,000. But one local nonprofit is shaking up the landscape by offering coding classes to young women—for free. Brave Initiatives, an education-based nonprofit, just kicked off its third year this week. Its six-day BraveCamp offers girls ages 13-19 the chance to create a website or app that addresses a social issue. The camp is open to young women of all socioeconomic backgrounds—costs are covered even if families are able to pay. “Our goal is that every girl comes to the table feeling like an equal part and has an equal entitlement to have a voice at the table,” said co-founder Jen Kamins. On day one, the young women introduce themselves to their peers—how they were raised, where they grew up and the people in their lives. By the end of the day, they break off into groups and choose a social issue they want to address. “We really believe that when people are given something they care about, they’re much more driven to learn about the skills,” said Kamins. Teams have created websites that address the media’s promotion of an “ideal” body, Chicago pollution and connect teens with free educational workshops. The camp doesn’t spit out master coders, Kamins sad. Rather, it introduces the young women to a field or industry they may not otherwise consider, whether that’s due to a lack of female role models, fear of failure or what might be perceived as an intimidating environment. “We’re showing them that coding is important, feasible and fun,” Kamins said. In the U.S., computer science and technology are among the fastest-growing sectors of the workforce, yet just 26 percent of these jobs are held by women, according to the National Center for Women and Information Technology. “We want to shift girls’ mindsets,” Kamins said. And after the camp ends, they encourage the new coders to continue their education by enrolling in online programs offered by such companies as Codeacademy and CodeNow. Brave Initiatives is hosting additional camps this summer at the GCE Lab School on the city’s Near North Side, and registration is currently open. There is also an option for girls in Jamaica this summer, thanks to the work of co-founder Anna Bethune (watch her discuss tech empowerment in the video below). To learn more about upcoming camps, visit the organization’s website. 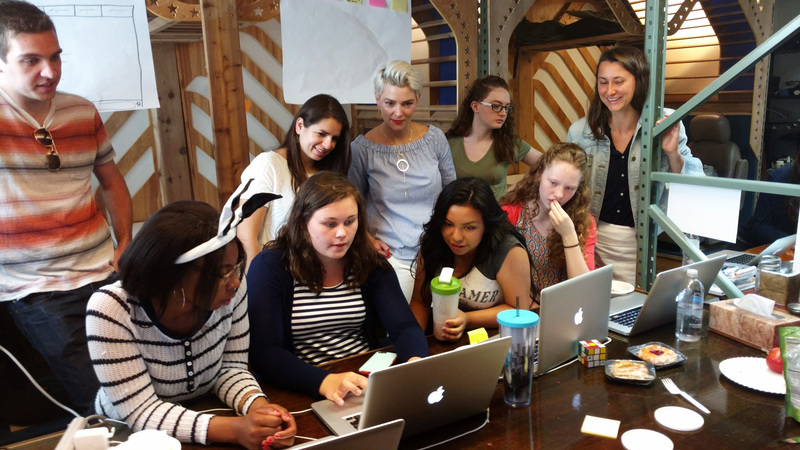 June 23: The international nonprofit Women Who Code boasts 100,000 members worldwide. This week, it’s relaunching its Chicago chapter and plans to offer meet-ups and other networking opportunities. June 16: The technology festival Chicago Techweek returns for a sixth year. We speak with the Techweek CEO about this year’s “radical shift” in programming and focus on minorities in tech. March 27: An organization dedicated to teaching technology to middle school-age girls is coming to Chicago.